V.S. Labels is established in the year 1990 situated at Delhi as well as in India, with a core principle of manufacturing quality labels, stickers and packaging materials. V.S. Labels specializes in providing customers with an inventory of labels and stickers that are the pride of the industry. V.S. Labels Graphics is one of the specialist company for label manufacturers, sticker manufacturers, importer and exporter of Stickers, Labels applicator in India Each label is equipped with the most up-to-date technological advancements and is completely manufactured to satisfy customers needs and requirements. V.S. Labels graphics is leading label manufacturing company in India offering a collection of labels like paper label, filmic label, adhesive label, printed label, heat resistant label, blank label. Our advanced infrastructure helps to manufacture different types of labels using optimum quality raw material and supervision of team of skilled professionals. 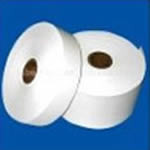 Ordered labels are available according to customer specified color, thickness, or dimensions. At V.S. Labels, everything revolves around improving quality, economy and decoration of our customer’s products. We constantly strive to come out with new and innovative solutions with your support to suit your requirements. Our well constructed structured has made us emerge as leading labels and stickers manufacturer among our compititors in industry. Labels offered by us do not affect material they are being labelled and long lasting with resistant to robust environment. Our sticker and labels are widely used by every business house in a number of industries for the purpose of advertising, identification, information, instruction for use, health and environment related warning. They are reckoned as the most economical and yet highly productive mode of promotion all over the globe. The labels are designed in various forms and sizes, which ever suits the companies’ process. The labels are utilized in apparels, footwear, electronic products, furniture, glasses and vehicles. We develop labels enclose attributes such as water resistant, strong adhesive quality, strength to hold up even with abrasiveness and have multi colour with accuracy and immaculate finish.